It's 2014. We're in a post-feminist society, right? Ha ha. Nope. 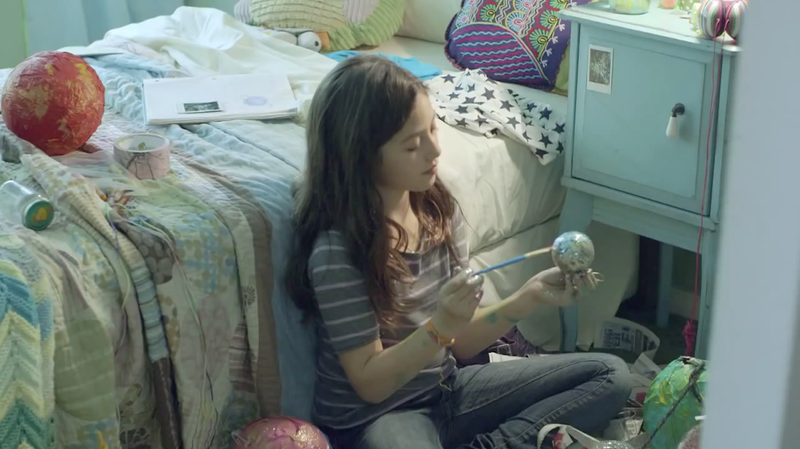 That's why campaigns like "Inspire Her Mind," from Verizon, in partnership with Makers, are so important. The initial spot, which had me tearing up more than the supposed cry-fest The Fault in Our Stars, features a young girl in various situations and the subtle cues that push her away from pursuits believed to be for boys. The campaign was born out of research that shows there's a significant drop-off in women interested in these fields between childhood and adulthood. The campaign, by AKQA, is in line with the technology company's work to encourage children to become interested in science, technology, engineering and math (STEM) through the Verizon Foundation. With any luck, the spot, direct by Pam Thomas of Community Films and voiced by Girls Who Code founder Reshma Saujani, will make people think twice about how they interact with young girls. How we treat children—particularly young girls—impacts the choices they make. AKQA also serves up an online site featuring a Choose Your Own Adventure edge: If you swipe right on the young girls' pictures, you can see choices that inspire them to take the initiative and work in their chosen field; if you swipe left, you see how pressure to stick to the gender norms (read: girly) had them abandon those pursuits. Maybe the most powerful feature on the site are the testimonials from real women who work in STEM fields. They are open and honest about their own struggles with what it means to be a woman and how they were motivated to pursue their dreams.